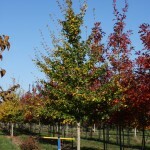 A rounded, dense, slow growing tree with dark green leaves, turning yellow in the fall. The bark can develop interesting shallow ridges and furrows. Hedge maple is very tough and adaptable to poor soils and urban conditions. It is used frequently as a street tree. 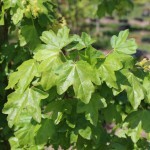 It is also known as Field Maple, and is used as a hedgerow tree in England.